College is glad to announce and have full fledged setup and infrastructural facilities. We believe that our students can achieve the best through availing best and latest facilities right while learning. We equally understand and value our faculty members and are glad to offer them full exposure to knowledge resources through various means. College library is one of most enriched resource available for all students, faculty members and passed out students as well. Library has 8,680 various books, journals, subscriptions and magazines. It has two separate sections for Boys and Girls reading and faculty members as well. We also have adequate books and resources for competitive exams preparation. Library remains open from 8AM to 12PM and then 2PM to 5PM and reading room is open throughout day from 8AM to 5PM. We believe in overall student development and health is one of most important aspect in this. Our Gymkhana has adequate setup of sports material, required facilities. We also keep organizing annual inter-divisional competition to encourage our student's maximum participation. We have also appointed dedicated trainer in Gymkhana to assist students in sports training, encourage and test them on various aspects. College has 150 student's special N.S.S. 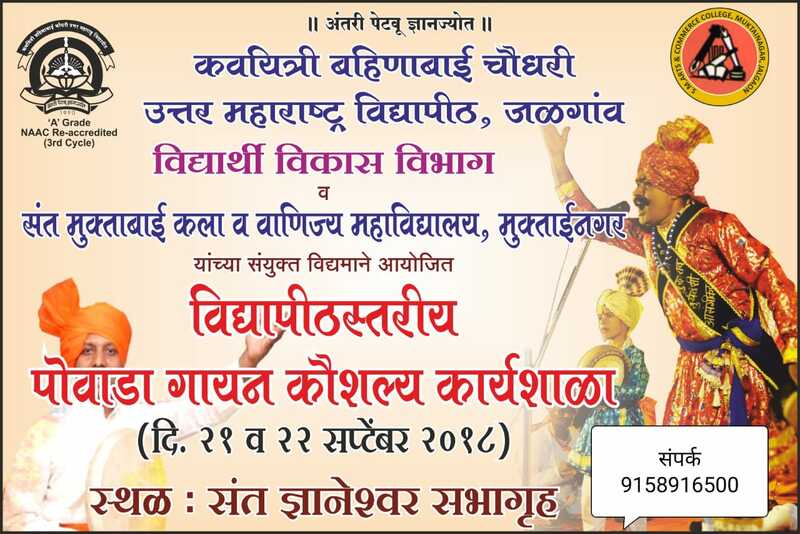 unit established under North Maharashtra University Jalgaon. Students selected in N.S.S. have to donate 180 work hours in College campus or any chosen area for offering his/ her services and has to compulsorily attend 10 days annual camp. This is Central Government sponsored activity aimed towards communal harmony and national integrity enhancement. College conducts Elections for electing Senior College Representative to University as per University regulations. There would be no election in Junior College. College implements Earn and Learn Scheme for economically weaker section students since 2006-07. This scheme aims at benefiting students in this category to be economically independent and get special aid for higher education. It also aims at encouraging students to be self-reliant and encourages self employment opportunities in them. This scheme is in association with Jalgaon Janta Co-operative Bank Ltd and is for graduate and post-graduate students only. It avails up to 70% of expenditure in form of Loan at 11% rate of interest and University pays interest quarterly until student's academic completion. Every student taking admission in first year has to undergo medical test as per University rules.